As I re-entered Mom's room, I saw that her body was leaning forward slightly, and she was pointing to something in front of her. I stood watching her quietly for a moment and then, suddenly, she looked in my direction and lowered her hand. "That's funny," she said. "What is?" I asked, entering the room. "Whenever you leave, he comes and the light goes up. Then, when you come back, he leaves and the light goes down." My mother's earthly days had come to fruition, and the harvest - that period of time when the mind and body transition from life to death - had begun.. 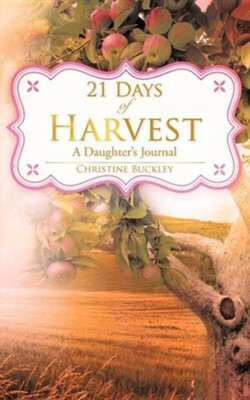 I'm the author/artist and I want to review 21 Days of Harvest.